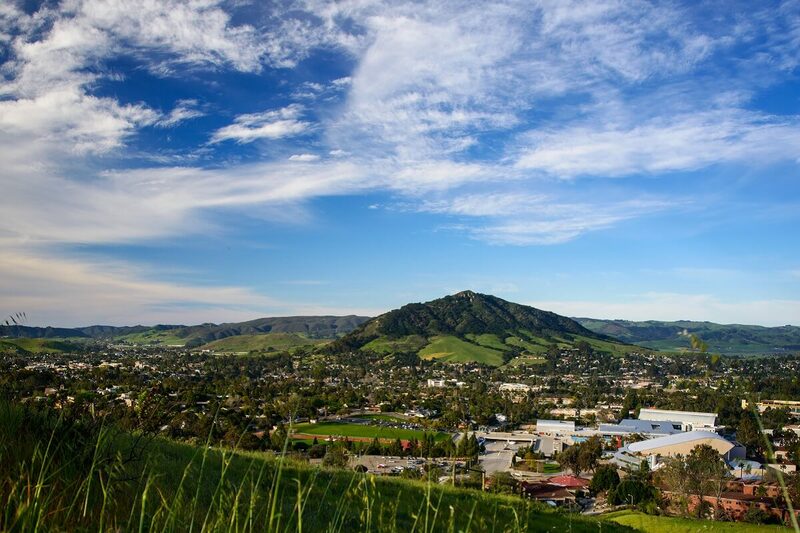 In the spirit of Thanksgiving, we’re giving thanks to the city we love, San Luis Obispo. While there are hundreds of reasons to be grateful, we narrowed down our list to the top 10 reasons why we’re thankful for San Luis Obispo. Even during the most stressful times of the year, San Luis Obispo is filled with friendly, welcoming people. Everyone is so happy that visitors might stop and ask, “what’s in the water? !.” The genuine, kind-hearted people of San Luis Obispo will greet you with a smile and a positive attitude. After all, Oprah did say we were the happiest city in America and San Luis Obispo lives up to this standard, making it feel like a home away from home. San Luis Obispo has a unique vibe – warm, laid back, and inviting – which is often hard to come by in our fast-paced, constantly changing world. 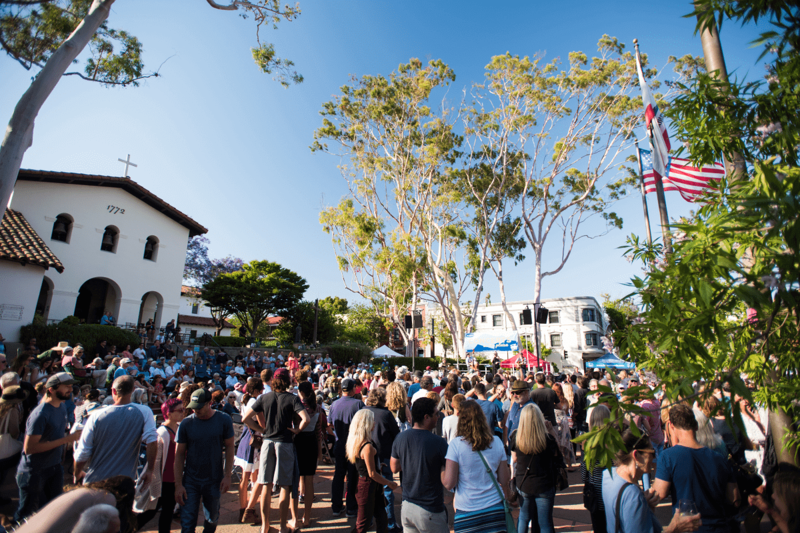 This “SLO-life” vibe can be attributed to not just the people and weather (see #1 & #3), but to the local-owned businesses and community events. These things bring locals and visitors together, to support the community as a whole. [Insert all the warm and fuzzy feelings]. How many places can you visit at any time of the year and expect sunshine and 70° weather? These destinations are far and few between, but San Luis Obispo is one of the lucky ones. SLO’s nearly year-round sunshine gives you the opportunity to get out and enjoy the city, no matter the month. If you don’t believe us, just check out the current weather. When visiting San Luis Obispo, we recommend coming with an appetite because our local, farm-to-fork cuisine is unbelievably delicious. 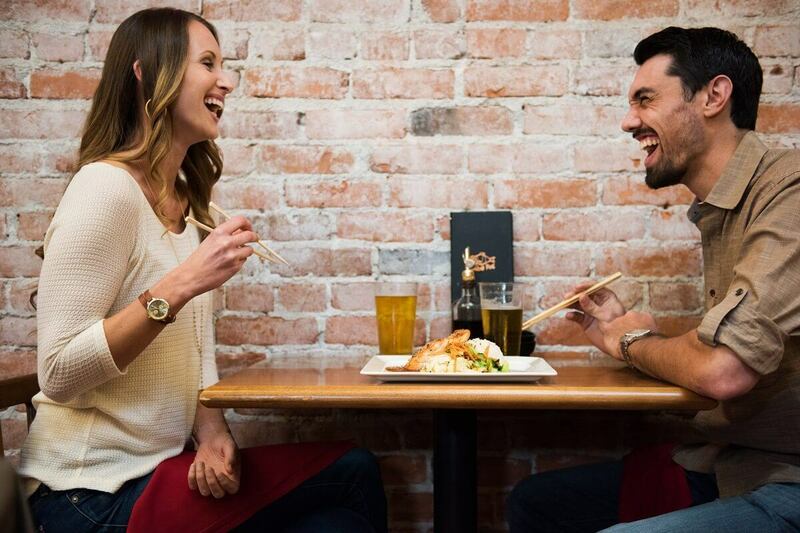 The 100% satisfaction guaranteed service and mouthwatering plates make restaurants in San Luis Obispo number four on our list of reasons to be thankful for SLO. The creative chefs, exquisite execution, and down-to-earth atmosphere at local restaurants could have you planning a trip entirely around food. Also, don’t miss out on the famous Thursday night Farmers’ Market in Downtown SLO. From Festival Mozaic to performances at the Cal Poly Performing Arts Center, there are tons of ways to get involved in the arts scene in SLO. On any given night, you have a variety local concerts and performances to choose from. While walking or driving around town, keep your eyes out for all the public art placed throughout the city. The perfect hub-and-spoke city between San Francisco and Los Angeles, San Luis Obispo is just minutes from picture-perfect beaches, epic hiking trails, and wine tasting galore. A hidden gem on the Central Coast, SLO provides easy access to anything you could dream of. If you haven’t already explored the ShareSLO Instagram account, please do, because you will see that San Luis Obispo is home to some of the most breathtaking views on the California coast. If you haven’t already, check out the top 15 iconic views in San Luis Obispo and be sure to add a few to your SLO bucket list. 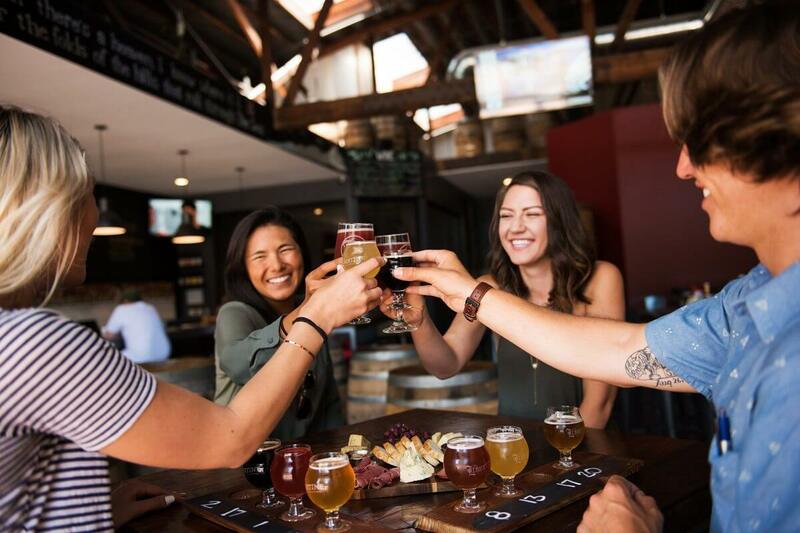 While many of California’s vacation destinations are known for their wines, San Luis Obispo is not only known for that, but also for its booming craft beer scene. Right in Downtown SLO, you have access to various breweries within blocks of each other and are minutes from local vineyards in Edna Valley. As a bonus, you will likely meet one of the brew masters or winemakers during your visit, too. SLO is an oasis for outdoor enthusiasts. 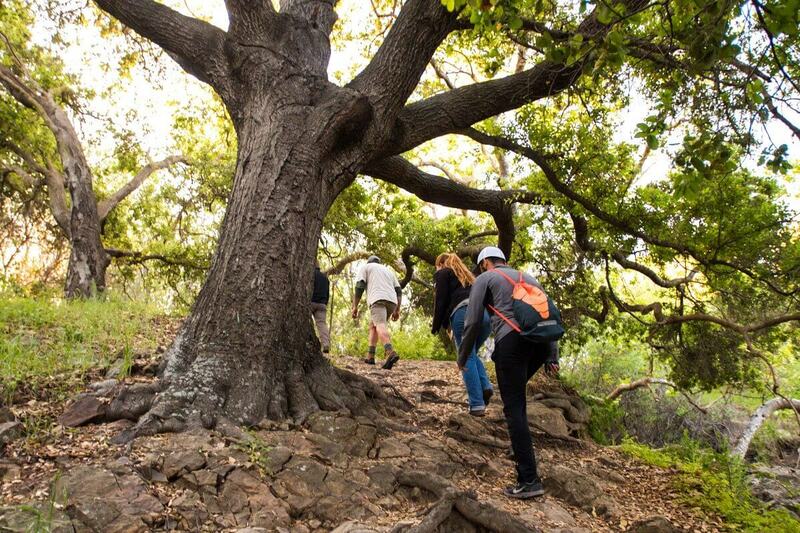 From bike-friendly roads to miles of hiking and mountain biking trails, we’ve got something for everyone looking to get outside. Full of opportunities for outdoor adventure and local events geared toward opting outside, we are thankful for everything there is to do to stay active here. It’s nearly impossible to be bored in San Luis Obispo with all the events and attractions at your fingertips. Check out the seasonal and spontaneous happenings taking place in town before your visit and plan out which trivia nights, festivals, and events you want to attend. Join one of three Turkey Trots benefiting the SLO Food Bank on Thanksgiving morning with locations at Avila Beach, Pismo Beach, and San Luis Obispo. While there is no registration fee, there is a suggested $10 donation. Experience your Thanksgiving meal at the iconic Madonna Inn, serving seasonal entrees from 12:00 – 10:00 p.m. To make a reservation, call (805) 543-3000 or book online. Thanksgiving at the Apple Farm Inn | November 23Enjoy a traditional Thanksgiving feast at the Apple Farm Restaurant. Adult tickets sell for $38.95 and children under 12 are admitted for $18.95. Make your reservation today by calling (805) 544-6100. From the friendly smiles to the perfect weather, SLO gives us so many reasons to be appreciative this holiday season. If there’s something that you are particularly thankful for in San Luis Obispo, please share it with us on social by using #ShareSLO. We’d love to hear from you!